Stream three new tracks now. 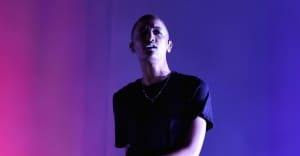 Syd has shared Always Never Home, a new three track EP, after premiering the songs on Thursday on Beats 1. Listen to them below via Spotify. The release contains "Moving Mountains," "Bad Dream/No Looking Back," and "On the Road." It's the follow-up to Fin, the debut solo album from The Internet frontwoman. Read The FADER's essay about the album here. This fall, Syd will embark on the Always Never Home tour of North America. She's also been working with Kelly Rowland of Destiny's Child on new music.